The special logo on the side of the plane said it all. 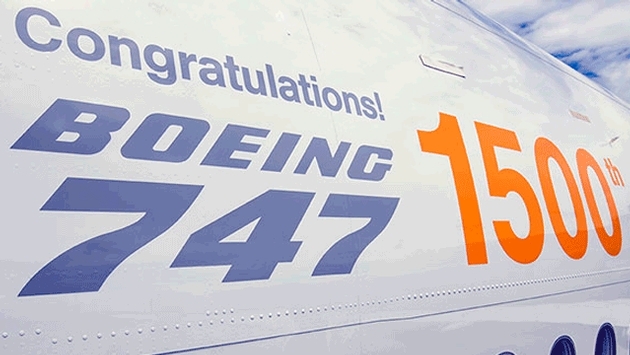 At a special ceremony on Monday, Boeing delivered its 1,500th jumbo jet – the 14th 747-8 overall – to Lufthansa Airlines. It was the 76th jumbo aircraft that Lufthansa has received from the American manufacturer since the 1970s. 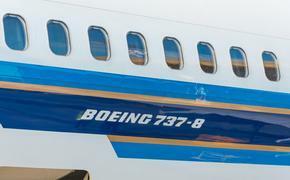 "Reaching this milestone delivery is a testament to the capabilities of the airplane and our commitment to continuous innovation," Eric Lindblad, 747 vice president and general manager, Boeing Commercial Airplanes, said in prepared remarks. "The new 747-8 is delivering on its promise to our customers, and we continue to look at ways to make it even more efficient in the future." Lufthansa is expecting to receive a total of 19 of the 747-8s. The “Dash 8”, as it is also known, is 15 percent more fuel-efficient than its predecessor model and, as a result, its CO2 emissions are around 15 percent lower. The noise footprint of the B747-8 is 30 percent smaller compared with the older Boeing 747-400. It was more than 44 years ago, in March of 1970, when Lufthansa CEO Herbert Culmann took delivery of the first Lufthansa Boeing 747-130 in front of Boeing’s factory in Everett, Wash., a Seattle suburb. By doing so, Lufthansa became the second international airline after PanAm – and the first European carrier – to deploy the jumbo on scheduled services. The aircraft was host to several major world premieres in succession, including the first film shown onboard a jumbo jet. Originally intended as a military aircraft, the jumbo’s career was not limited to carrying passengers. On April 10, 1972, Lufthansa received the world’s first “smiling” Boeing as the launch customer of the cargo version, the Boeing 747-230F. The nose of the aircraft could be opened horizontally, making it possible to load even more bulk goods without any problem.